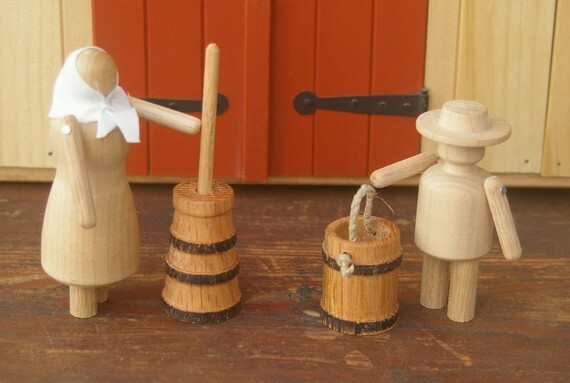 Eric Swanson makes simple and durable hand-made wooden toys with the charm of the village toymaker. 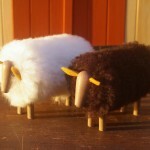 They are sold at farmer’s markets in Rhode Island and on the Calf Pasture Toys Etsy site. 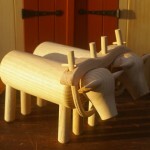 The toys are made using a cast-iron antique lathe from the 1800s on his small farm, alongside the real cows and sheep. I am a loving husband, father of three wonderful, school-age children and small farmer raising cows, sheep, chickens, pigs and one goat. 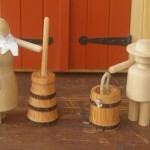 I have been a professional woodworker since 1981, when I graduated from Rhode Island School of Design and have made toys on and off since then, but only in the last few years have concentrated on toys. What tools and materials do you use to create the toys? Most of my toys are made on a cast iron antique lathe one at a time out of native New England hardwoods such as maple, birch, oak, cherry and black walnut. I add pieces of leather, rope and fabric. Absolutely NO toxic finishes are ever used. The ears on the animals are made from soft leather, and the sheep are covered in real sheepskin. What’s the story behind the antique lathe? I struggled for years working with a “new”, flimsy lathe. I saw an ad in the paper for a massive, antique lathe and I bought it on the spot out of an old barn in Rhode Island. The vintage lathe was built in the mid to late 1800s. The lathe has beautiful, classical molded castings and old fashioned poured metal Babbit bearings. What are some of the best items available from your store? 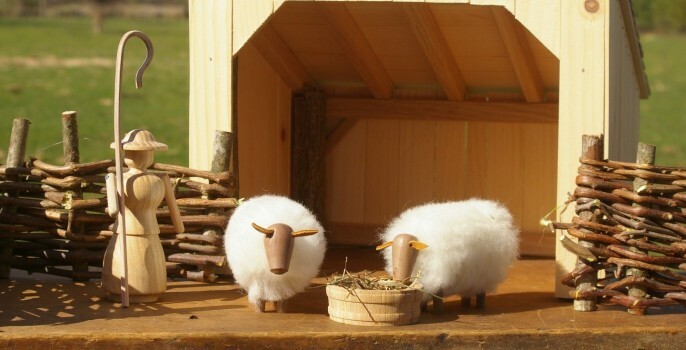 It’s hard to pick a favorite item, but I like my sheep and they are very popular with adults as well as children. I also have a soft spot for my oxen team since I want a real team for my farm. My smallest item is my mouse which measures one inch for the body, but that is about as small as I can comfortably turn on my lathe. Have you sold the toys offline? What is the biggest challenge selling the toys? I sell at two local Farmers’ Markets, the annual Spring, Fall and Holiday Rhode Island School of Design Alumni Sales (1981 and 1989 graduate in Illustration and Furniture Design), and a few other local craft sales throughout the year. The biggest challenge is making people aware of my products. Thanks, Eric! 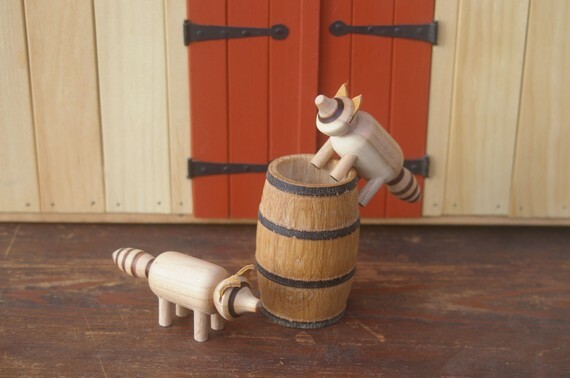 Make sure to check out the Video interview with Eric from the Providence Journal to see his farm and a demonstration of him making a raccoon toy. 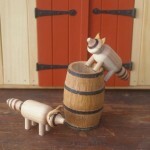 Eric also has a website showcasing the toys at calfpasturetoys.com. Thank you for including my Make a Match Memory Zoo Edition in the Treasury list on your website. It warms my heart to know you like it enough to share with your readers – what an honor 🙂 Thanks again!